I'm finally going to a university. Well, sort of. We're thrilled to announce that beginning in August 2010 you'll be able to watch Two Wheel Oklahoma on Rogers State University Public Television, KRSC-TV. Mark your calendar (or refer to ours) for Wednesday evenings at 7:00 pm and Tuesdays at noon. If you're a longtime fan of the show you'll initially be seeing some familiar episodes. I think the technical jargon is "re-runs." But our new buddies in Claremore are anxious to help us start making new shows! We're still ironing out the details, but we hope to syndicate the show to more stations and will have the cameras rolling again real soon. RSU Public TV is the only full-powered public television station licensed to a public university in Oklahoma. 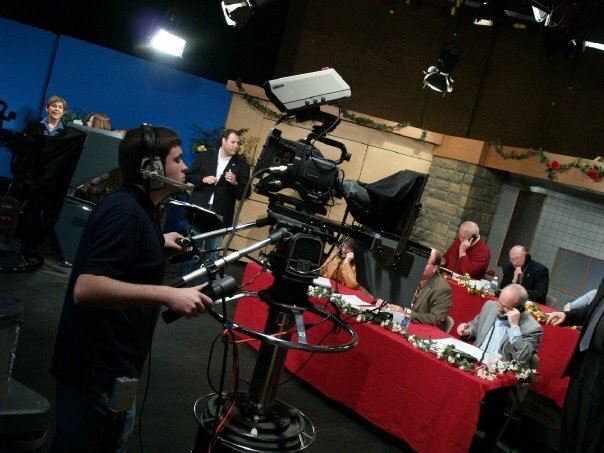 KRSC broadcasts to an audience of 1.2 million viewers in Northeastern Oklahoma. Viewers can tune in via UHF Channel 35, or more than 70 satellite and cable systems including Cox Cable Channel 19 in Tulsa and Claremore. Here's a complete list of cable providers in Northeastern Oklahoma and the channels where you'll find KRSC-TV, and Two Wheel Oklahoma!